Attorney General Jeff Sessions on Wednesday suggested that the federal government is preparing to crack down on recreational marijuana, a move that he’s been expected to make since he took over the Justice Department. The only surprise is that Sessions is nearly a year into his term as attorney general and he hasn’t changed the federal marijuana enforcement policy yet. It’s not for a lack of trying. Earlier this year Sessions convened a task force to, many believed, provide him ammunition for a crackdown on legalized weed. Instead, the group of prosecutors and law enforcement officials wrote a report supporting existing policies. 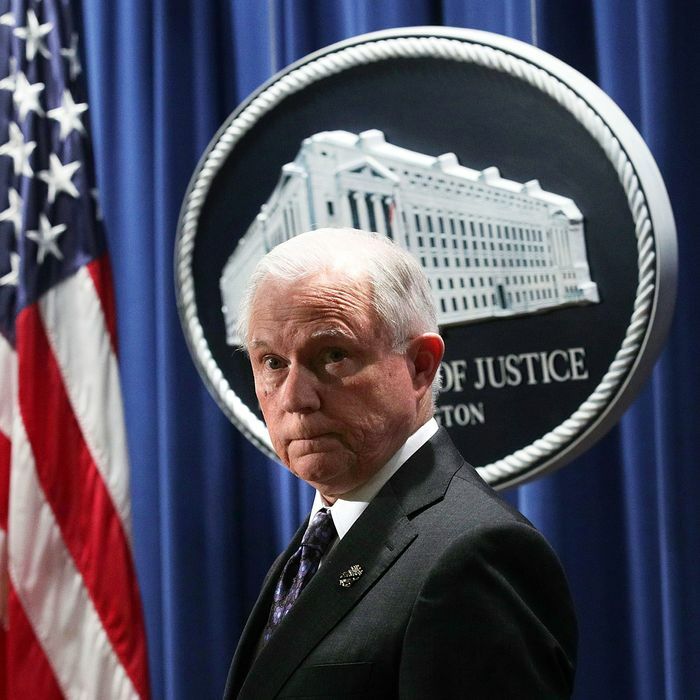 As of two weeks ago, those policies remained in place, the famously weed-wary AG told Congress. But Wednesday, Sessions said changes are afoot.